This is a home we completed in August of 2012. We painted the entire interior of this 2500 sq. ft. home. We also tiled the kitchen back splashes and did some other remodeling for the owners. This is an English Tudor home in Greece, N.Y. we completed in July. This home required power washing, exterior painting and staining. We also did the same for the large deck and changing house in the rear of the home. The 2012 season came upon us and this was our first home exterior paint project of the season. 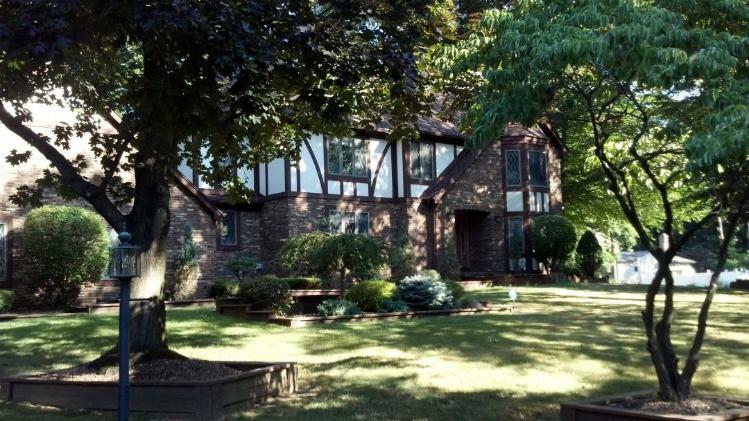 Dave and JoAnna's home in Irondequoit, N.Y. was prepped by first replacing some cedar shingles, hand scraping, sealing/caulking and priming with VALSPAR® Bonding Primer and then painted carefully with 2 coats of premium VALSPAR® DuraMax 100% Acrylic paint for a long lasting job. 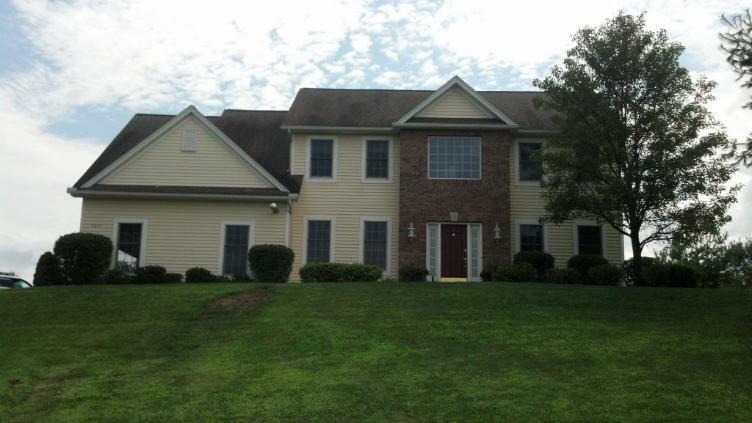 Here is another home exterior paint project of the 2012 season. This is a combination Stain and Paint Exterior job along with some carpentry work. We powerwashed the Cedar Shingles then Clear Stained them with a Cabot® 19200 Series Wood Toned Deck and Siding Stain. The Wood Trim and the Stucco was painted using Valspar® Severe Weather 15 Year Exterior Latex paint. Also, the small Roof over the Front Entranceway Step Landing was out of level and we fixed that by adding some new pressure treated posts, jacking the roof up and re-leveling it. The right side of the house has a Floating Deck that we painted using Restore® 2-part Epoxy paint.